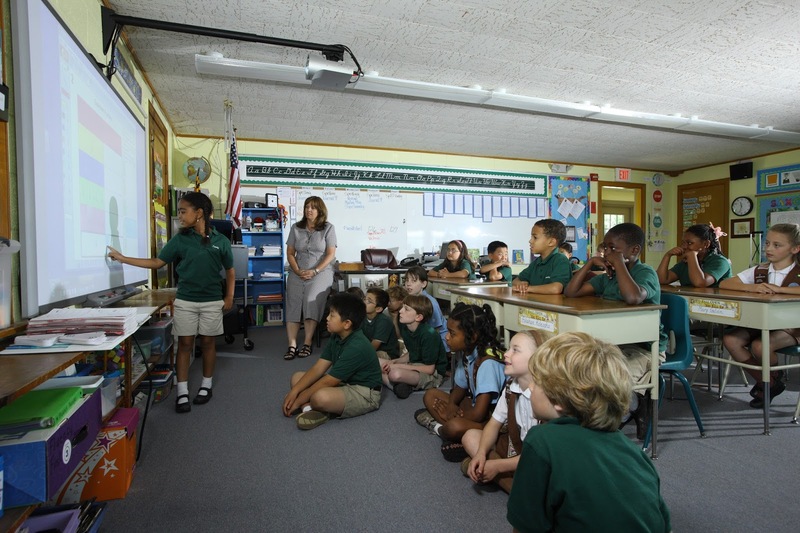 Before any new program is introduced at Trinity School, a thorough study and evaluation takes place. The Saxon Math Program was no exception. This program was reviewed and studied for two years. Next a pilot program was initiated in the fourth grace. In the succeeding year, the principal and two primary teachers travelled to a school district in Pennsylvania to view the Saxon Math Program in action at several schools. Great enthusiasm for the program was expressed by teachers from all levels of experience. The principal then arranged for an in-service program for the teachers. After this, Trinity was ready to launch the program in the primary school, a grade at a time starting with the kindergarten. A few years later, the middle school math teachers recognized the value of the Saxon Math Program through the progress and success of the students coming from the primary school and so the Saxon Math Program continued in the middle school. Currently, the Saxon Math Program is used through the sixth grade. Pre Algebra is taught in the seventh grade. Algebra and Honors Algebra are offered to the eighth graders. The strength of the Saxon Math program lies in its cyclic development. With each lesson, a new concept is introduced, not mastered. Students are then given daily opportunities to practice the new skills as well as practice all past skills presented. This process keeps skills fresh and leads to automaticity in math. Since the inception of the Saxon Math Program, the Trinity students’ math scores on the standardized test have notably increased. In a recent survey of ninth grade Trinity graduates, 64% of the responders were placed in Advanced Algebra, Algebra II or Geometry. How are advanced math students challenged? 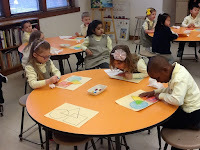 The Saxon web site offers challenging activities at each grade level. Every primary class has sets of math palettes that offer extended math activities. Teachers may adjust these offerings based on the math topic or the student’s level of achievement. Third grade teachers enrich the program by incorporating advanced Saxon supplementation and Skill Builders Math. Fourth grade teacher have created math packets from various resources that provide math challenges. The Moby Max computer program offers a pre-test and places the student in the level achieved with questions and problems to advance their math skills. 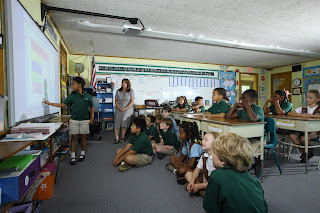 Two additional math enrichment opportunities: “Explain Everything” and Singapore Math are available to students in grade 1-4.